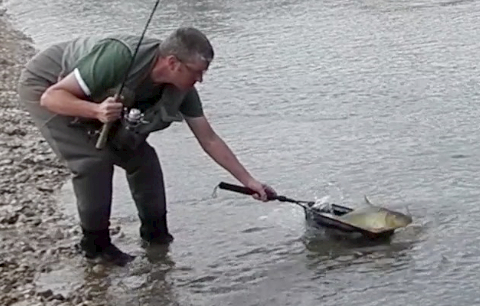 There is no better location to start the Another Fishing Show fishing blog, than in the clear waters that flow in the streams and rivers of southeastern Minnesota’s Driftless area. My first memories of fishing began in these cold waters and I still fish there more than anywhere. With seemingly endless options of creeks, streams and rivers, the driftless area is like no other. With the highest concentration of springs anywhere in the world, it is no wonder why so many exotic fish call this place home. Although I spend most of my time fishing trout in the SE Minnesota, whenever the river permits in April and May, I avoid the trout crowds and make the sucker run my priority. It still amazes me I can have my pick of the hundreds of gravel beds that are covered with these big and beautiful fish. Often visible by the hundreds, full of spring fever and color. With so many options swimming below, it is sometimes impossible to tell what you have hooked, until it is right in front of your face. The Root has an incredible variety of species that swim in its waters. Besides the often sought after game fish that include brook trout, brown trout, rainbow trout, smallmouth bass, walleye and sauger. The Root also holds a collection of native and rare species, some only found in this watershed. 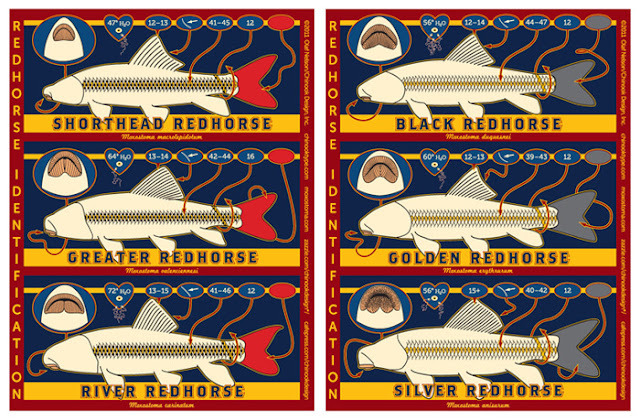 My favorite targets include the shorthead redhorse, river redhorse, golden redhorse (the world record came out of this river), silver redhorse, greater redhorse, black redhorse, northern hognose suckers, quillback and white suckers. Catfish, gar and sturgeon have been known to swim these waters also, but are mostly found in the lower stretches closer to the Mississippi valley. My best fish of the day. Watch the video below to see more.. Presentation is not rocket science in sucker fishing, a crawler, hook and split shot can catch you a variety of species. But finding fishable water in the spring can be. Runoff from hundreds of streams complicate the Root river stream flow. 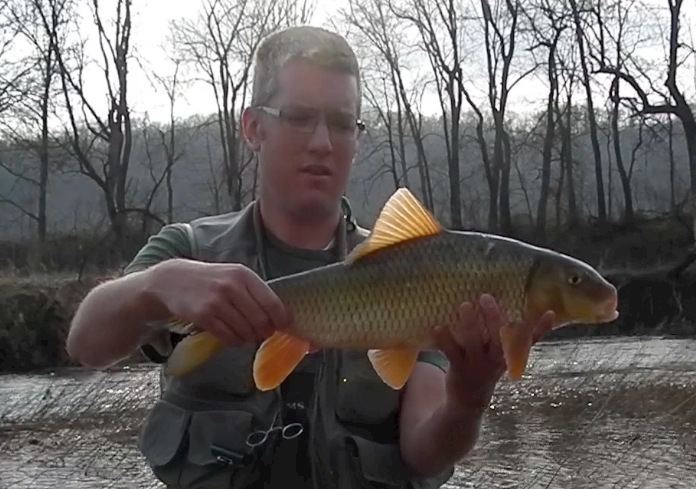 Although most spring creeks that feed the valley water are crystal clear, a major part of the root from its source runs through open agricultural land which can complicate access and your ability to present to the fish. Keeping an eye on stream flow and flood gauges online is important before making the drive, and finding out the river will be your worst enemy. A failed attempt at netting a big red! Eventually got him.. It is a complete misconception that suckers somehow thrive in warm dirty water. 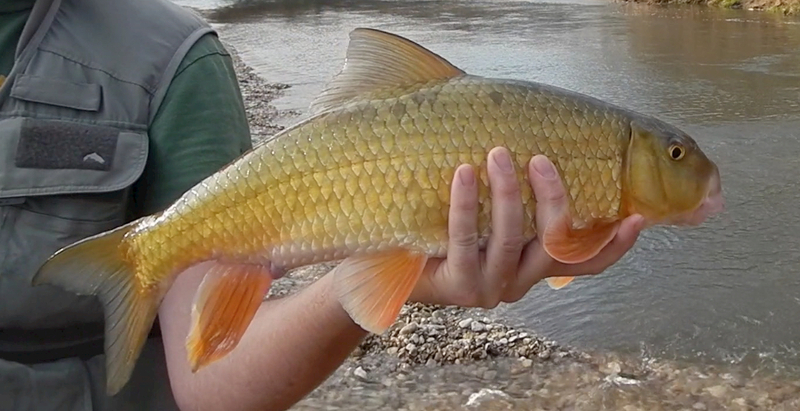 Often mistaken for carp (no barbels? Its a sucker) who do well in a variety of conditions. Suckers do not tolerate warm water or silt. As much as a clean water fish as trout, and native to the waters unlike Browns and Rainbows, suckers are a perfect fit to their environment and do not harm populations of any game fish around them. Identification of suckers can be a tricky business also. Many of the redhorse caught can only be identified by the dorsal fin and the mouth of the fish. A White or hognose have obvious differences. But with such a variety of redhorses in these waters, without close inspection, it may be impossible to tell without a trained eye. Check out this great identification chart at www.moxostoma.com to help ID your ctach. My first golden! And didn’t even know it until I got home..